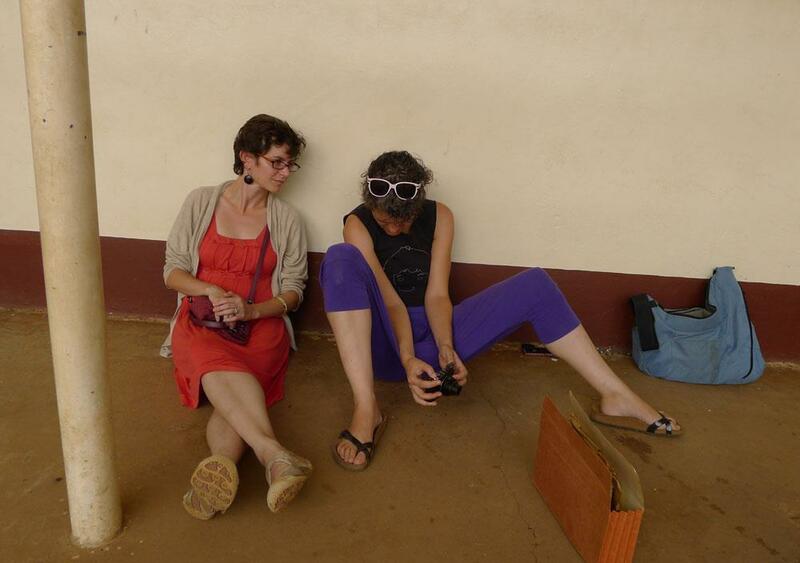 It was June 2012 when American medical historian Marissa Mika contacted HIPUganda. She was then a doctoral candidate writing a history of cancer in East Africa. As part of her research she came across photographs connected to the history of the Uganda Cancer Institute (UCI) and thought HIP would be a good place to make some of the photographs available to a wider audience. . There were two important reasons for me to accept Marissa’s invitation to work with the historical photo collections related to the UCI. The first one, obviously, being that I am interest in photographs related to Ugandan pasts. The second one was a personal history with cancer. This history makes me, just like former UCI patients, a cancer survivor. I asked my oncologist in the Netherlands what would have happened had I lived in Uganda. He described in rather graphic terms how the cervix cancer I was diagnosed with would have developed if it had not been found during a general health screening as it was. It would have been painful. I would have been dead. This makes me an insider to the story of the UCI in one sense, and shows how privileged I am in another. It makes global inequalities painfully present. This blog post is the first in a series. In weekly instalments we’ll work towards the opening of an exhibition and book launch, taking place August 18th. Both book and show spark off from the photographs Marissa brought to the table five years ago. In this post Marissa responds to three questions. Her answers introduce the founding fathers of the institute and the photographs found, and thumbnails of some of the pictures that are presented in book and exhibition. In follow up posts individual pictures, the people connected to them and issues that spark of from the photographs will be discussed. Were you in your research actively looking for photographs? I’ve been with this project now since September 2008 in some way, shape, or form, which means that it’s hard for me to give a straight answer to that question. When I first found out about the UCI, I was living in Philadelphia and went through old medical journals hoping to find an image of the site, which I did. Some of the old medical journals I went through also had photographs of patients in various stages of Burkitt’s lymphoma, Kaposi’s sarcoma, and liver cancers. It wasn’t until John Ziegler, one of the doctors involved in establishing the UCI, sent me a stack of his old photographs of patients and the Institute itself that I became interested in working with photographs as a historical source. I also starting to see them as a way to open up conversations with colleagues about memories of the Institute. The slide images in Staying Alive were found by accident. I was in Columbus, Ohio, trying to track down a stack of old letters between John Ziegler and his colleague Paul Carbone from the 1960s and 1970s. The letters were nowhere to be found, but I did find several trays full of copies of slides taken by John in the late 1960s and early 1970s. I recognized the handwriting. I hand carried the slides back to California, had them digitized, and then sent them back to Ohio. A man central to the collaboration that became the UCI was Irish surgeon and colonial medical officer Denis Burkitt. He had an eye for intriguing clinical conditions and conducted the initial treatments of the lymphoma that bears his name. Even though Denis Burkitt was known to take photographs of patients, his personal paper collections at Trinity College in Dublin, Ireland and at the Wellcome Library in London, UK do not offer access to these collections because of privacy concerns. In other words, when I actively looked for photographs in my research, they were often nowhere to be found.When I wasn’t looking, photographs appeared! I think there is an important set of historical and ethical questions about the uneven geographies of these collections and the politics of access that we must discuss further. Yes! That is one of the things we both want the book and exhibition to do. It is also something we will do in the next blog posts. Were you surprised by the photographs that showed up? If so, how? For me, receiving the box of old patient photographs in June 2012 was the biggest surprise. I was staying with my in laws at their home in Texas, and covered their dining room table with image after image of patients and their tumors taken by the medical illustration department in the 1960s and early 1970s. By that point, I had spent several intense months at the Uganda Cancer Institute, shadowing Lymphoma Treatment Center and Solid Tumor Center ward rounds and getting to know patients and their families. In that time, I had trained myself to not stare at the explosive impact of tumors on the body. I instead focused my gaze and attention on points of embodied human connection–eyes, hands, faces, laughter. I wanted to get to know the people and the families on the wards, not necessarily the tumors. For me, the photographs from the medical illustration department invited staring. They stoked revulsion. They ignited grief. They made malignancies impossible to ignore. Opening that box opened up a range of emotions that I could not stuff back in or ignore about life and death at the Institute. It shaped my thinking about the gravity of the place moving forward and the centrality of cancer–as bodily state, as metaphor, as growth. I think the other big surprise was just how strong the continuities were between the past and the present. The slides in color, especially, look like they could have been taken yesterday, save the shorter skirts of the nurses in the 1960s! In a couple of photographs of the wards, you can see that much of the equipment also remains. The same standing desk cart used to write up patient charts was still in use on ward rounds in 2012. From how I got to know you and what you told me it seems that there were two major methods used in your research. On the one hand going through archives, on the other interviewing individuals who were and/or are related to the Cancer Institute. Could you tell us how what the photographs show relate to your findings in the archive/interviews? Did they illustrate them? Ground them? Add other information to them? Did they inform in any way how you looked at the documents? Which questions you asked? This is a great question and one that I’m still actively thinking about. As I said above, there’s also a third strand to how I do research, and that is sustained ethnographic engagement through participation and observation. By being part of the present, I work backwards and use that as a springboard to the past. From the beginning, my intention and hope with this project and our collaboration was to create a visual archive of a site that was about to be fundamentally changed. My immediate concern was preserving the care practices and physical spaces of the Lymphoma Treatment Center (LTC) before it was torn down. I look back now at the photographs from 2012 and they’ve preserved not only a place but also an entire community that’s more like a village and less like a hospital. I refer to the photographs of the LTC quite a bit in my own writing process as a way to get back into a place, a scene, a moment, a patient. In my writing, I treat the photographs like field-notes written by a fellow ethnographer, and use them as a way to build out detail and description, emotion and event. In the next post we will discuss photographs of and by the UCI’s VIPs. 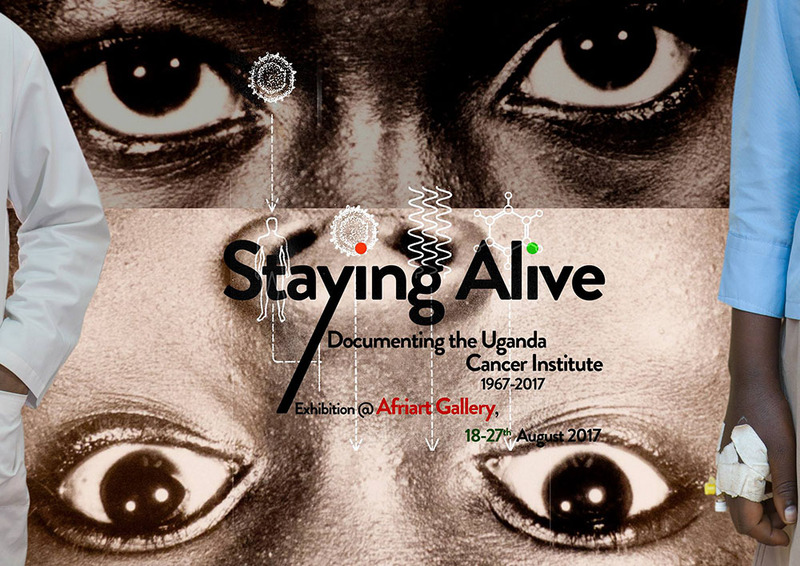 Meanwhile, if you are in Kampala, consider joining us for the opening reception of the Staying Alive exhibition at AfriArt Gallery in Kamwokya (Kenneth Dale Drive) on August 18th, 6pm. The exhibition is on show from August 19th through 26th, 9am-6pm. The book ‘Staying Alive’ is available at the exhibition. Readers who are not in Uganda but interested in the book, please check the website of the co-publisher of the book, You can place an order and get your own copy from there if you are interested. This blogpost has been recontextualised by Marissa Mika on the blog connected to her current research position. Check out that version here.